Yamazaki Mazak started manufacturing laser machines in the Eighties. With a wide and diversified portfolio of solutions, today the company is an industry reference. From the first laser cutting machine in 1984, developments have been constant: targeted automation, 3D tools, advanced CNC technology, innovative sources and software, without overlooking ergonomics, design, safety and energy efficiency. accurate, strong and reliable over time, with multiple application opportunities. There is no limit to processing materials and geometries. Laser opens up a world of opportunities still to be fully discovered, creating items with repeatable and unique features and offering solutions that meet the requirements of the Industry 4.0 “revolution”. allowing also small companies operating in local markets to leverage the most advanced technological solutions available. 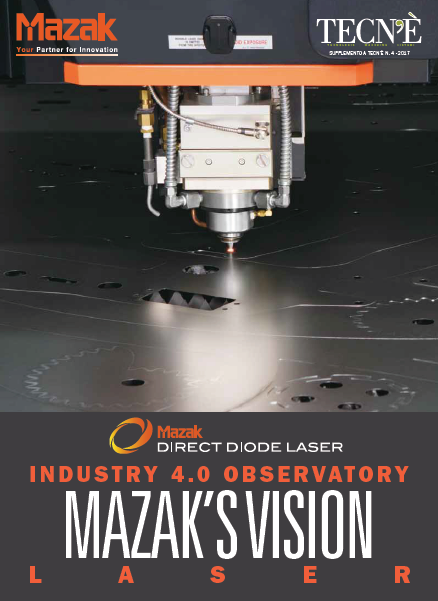 So, Mazak delivers a unique and consistent image to customers is different markets, offering “the essence of mechanical engineering”,i.e. “the intelligence of machine” to each customer.